Tomorrow is Election Day. Washington’s Secretary of State predicts a robust 66% voter turnout, the highest for a mid-term election in many years. A number of these voters only recently gained the franchise, due in large part to the efforts of the ACLU. 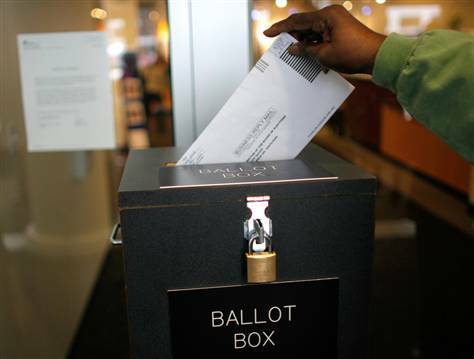 Last year, after years of advocacy by the ACLU and others, Washington implemented a major voting rights reform bill that extended the right to vote to tens of thousands of previously disenfranchised Washington citizens. The ACLU supports similar reform at the national level, and is advocating for the passage the Democracy Restoration Act, a federal law to restore voting rights for currently disenfranchised citizens across the nation. Extending voting rights to citizens re-entering society is not just the right thing to do – it’s also good for our communities. Voting is a mark of civic engagement and participation, and a demonstration that ex-felons wish to re-engage with their communities. That’s why a broad coalition of faith groups, law enforcement officials, and civil rights organizations support the Democracy Restoration Act. So once your ballot is in the mail, please take a moment to tell your members of Congress what you think.